This thread is for comments about our Mage leveling guide. One thing I see most mages forget about is Deep Freeze as any spec. It's great for taking down tougher adds and if you are fire spec (the one I recommend leveling as) then you can easily set up big combustion combos and spread to take out groups. What exactly makes Deep Freeze so great? How do you make it work in conjunction with Combustion? Because it's a stun and due to Shatter (All specs now) you are almost guaranteed crits on spells cast on deep froze targets. As fire, you can inferno blast>Frost Nova>Deep Freeze>scorch>Pyro>Combustion>Inferno Blast and your target mob and surrounding mob or 2 are gonna be near dead. When you pyro into a deep freeze it's gonna be a crit almost every time (and can be everytime with good crit rating). Also Deep Freeze is only a 30s cooldown now so it's got great uptime. Any luck with the whole journey, ie. 1-90 tips, specialisations etc? In the next few weeks, we will extend this guide to cover the entire leveling journey, from level 1 to level 90. It's been more than a few weeks. It has, but we simply haven't been able to find the time to update them. What I noticed is that at the leveling guide, you make use of Frost Bomb. But in the Frost dps guide, they say not to take Frost Bomb, Could someone explain this why? I just dinged 88 on my mage and it seems they added Gate of the Setting Sun as a dungeon for level 88. I don't know if they added more at level 89 though. Thank you for this guide, it was very helpful. Do you plan to compare the specs in the future, giving advice as to which is better to level up with? Well, I can tell this to you quickly. All three are capable of leveling, however Frost has slightly better crowd-control than the others, and with the Pet Freeze, Frostbomb, Frozen Orb, Ice Lance spam, you can easily dispose big number of enemies, under a short period of time. Fire could do fine, but it is very crit dependant, and most of the time you will just find yourself running around with Scorch, which is a single target spell, so you cannot really pull bigger packs. Arcane... Well, I have never tried leveling as arcane, honestly. In my opinion it lacks the mobility, which is bad for a mage. You don't really want to stand in a spot and get your face smashed. The leveling guide is ready! In the 85-90 guide why is Flamestrike not used in aoe? That part of the guide has not really been updated for a long time. I'm keeping this guide up-to-date, please refer to this. Blizzard is not used in this aoe rotation? May I ask why Blizzard is not used in aoe rotation? It forces you to stand still. That is not something what you want to do while pulling lots of mobs. 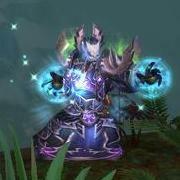 Oltier, our Mage moderator, has put up a comprehensive guide for leveling up a Frost Mage from level 1 to 90. We advised you to read it! Would something like this guide be more benificial to people looking for such information have it's link located up on the Classes under Mage, instead of being buried under a lvl 85-90 guide? or be combined with the 85-90 level? (85 to 90 is not very big) Or better yet (this can go on for a while, sorry) have the guide be broken down into part 1 (Frost), part 2 (Arcane), part 3 (Fire) and part 4 (85-90 all)? I have been looking for this type of guide since I was level 12 on my mage Icey Rose since I have no idea at how a mage works or plays, but I do know how one dies.... horribly, horribly, painful screaming like the gnome girl that I am. I can agree with a bit more highlight if it is really that hard to find. However, adding the arcane and fire spec levelling would require lots of time. Not only to write it, but the time to level up a mage. I mean.. Yea, I can read what ability a mage gets at what level, but I wouldn't recommend such things that I haven't tried out myself as well. :) I hope you understand my point of view. Additionally, I still think that the most viable spec is frost to level. Once you ding 90, you can switch to any other specs easily.